Focus on the Family Episode Reminder Get a sneak-peek into each new show, delivered straight to your inbox! We want to help your family thrive! The Focus on the Family program offers real-life, Bible-based insights for everyday families. Help for marriage and parenting from families who are in the trenches with you. Focus on the Family is hosted by Jim Daly and John Fuller. 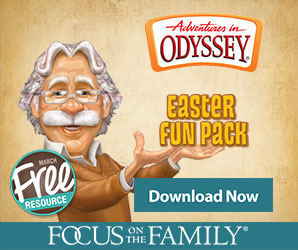 Jim Daly is President of Focus on the Family. His personal story from orphan to head of an international Christian organization dedicated to helping families thrive demonstrates — as he says — "that no matter how torn up the road has already been, or how pothole-infested it may look ahead, nothing — nothing — is impossible for God." Keep up with Daly at www.JimDalyBlog.com. John Fuller is vice president of Focus on the Family's Audio and New Media division, leading the team that creates and produces more than a dozen different audio programs. John joined Focus on the Family in 1991 and began co-hosting the daily Focus on the Family radio program in 2001. John also serves on the board of the National Religious Broadcasters.